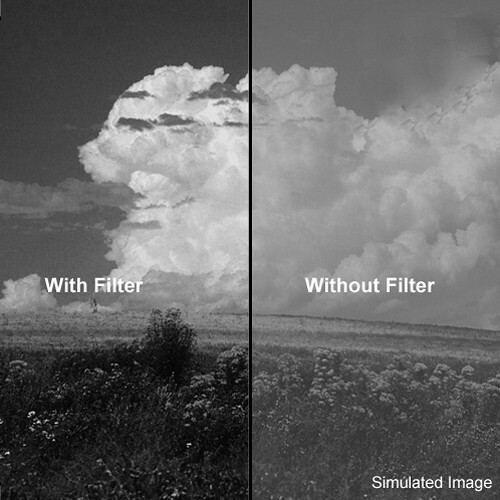 This Light Red Filter is for producing contrast effects that darken sky and water, as in more dramatic architectural photography. Not recommended for flesh tones. This filter is glass and measures 165 x 165 mm (6.6x6.6") x 4 mm thick.